Real Life Salvation: Is The BAT The Future of Wind Energy? Is The BAT The Future of Wind Energy? 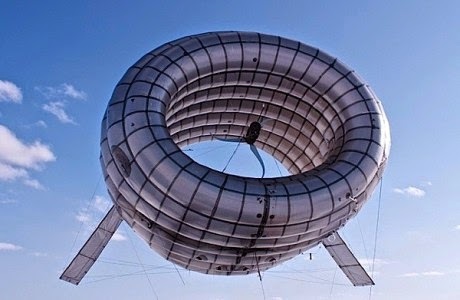 Is this the future of wind energy? Scientists have created a way to capture some of the most viable wind currents that the atmosphere has to offer. It is a helium-filled BAT (buoyant airborne turbine) and could be the eco-friendly solution to bringing energy to rural areas. It is said that wind energy could power the planet for the rest of existence so finding new ways to capture currents seems like a smart option in today's gas guzzling world. Click here for more details on the BAT and how it works. Click here. here and here.